MANILA, Philippines – Netizens are abuzz with the newest online craze that lets them earn money while having a good time. Get to know Paydro Live app, the newest mobile trivia game that allows you to earn real money. If you are into current events, social news, general info or you just love trivia, this gaming app is for you. Paydro Live app works like your favorite noontime show that at 12:30 p.m., users would play the game at no cost. A series of 11 multiple choice questions of increasing difficulty would be asked to users. You just need to answer all questions correctly and within 10-second frame per Q to win a share in the jackpot prize. You can cash out your winnings, minimum of P500, by using the Paydro app through selected DA5-Western Union branches or via deposit to your bank accounts (BDO, BPI and UnionBank). 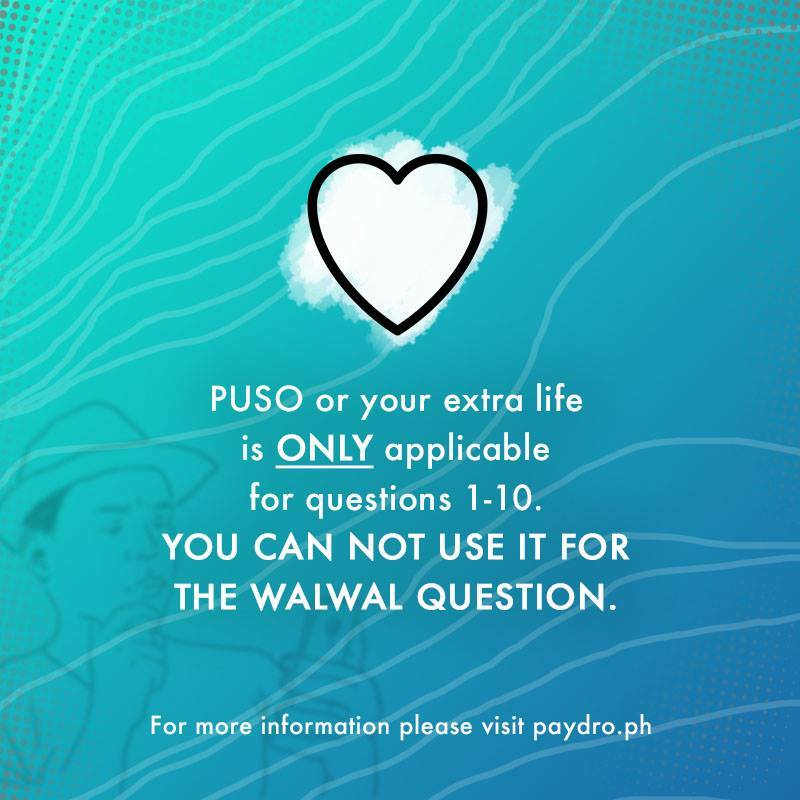 Paydro Live aims to reach more Filipinos to join the trivia game. It is currently gearing up for its “Road to 1 Million Pesos” wherein they will give a cash prize of P1 million pesos if they will be able to garner 100,000 players in one game. Gian Scottie Javelona the co-founder of the Paydro Live was one of the Filipinos who landed on the Forbes' 30 Under 30 List. He is recognized as one the “brightest young entrepreneurs, innovators, and game changers" in the region. Paydro Live app is available for download via Google Play or App Store. You may use this referral code @FiBe upon sign up.